Have you heard of George, the patron saint of England? Well, if you haven't, he was a pretty cool chap. Legend tells of how George rescued a princess from being eaten by a plague-ridden dragon and saved the entire town where she lived! George was applauded for his heroism and became England's patron saint, with April 23rd every year being dedicated to him! And what better way to celebrate George and his dragon slaying skills by tucking in to some delicious and traditional British grub? 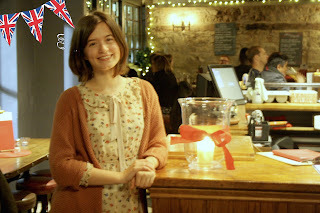 Last week I was invited along to the Chequers in central Oxford, to try their menu as part of Nicholson's Pub's Best of British campaign, so today I will share my experience with you all! Obviously, the highlight of my trip to the Chequers was the plentiful choice of British cuisine! The Chequers is a speciality fish house, with their menu boasting everything from traditional fish pie to a seafood thermidor. After much deliberation, I settled on the finest British dish of all, fish and chips! Charlie, our host for the evening at the Chequers, revealed that this was one of the most popular items on the pub's Best of British menu, and it wasn't hard to tell why! The fish was perfectly cooked and the batter extremely flavoursome, thanks to the Nicholson's pale ale used to make it. The mushy peas were deliciously minty and the perfect complement to the dish. The triple-cooked chips were soft and fluffy on the inside, with just the amount of bite on the outside. My lovely blogger friend Hayley, who I took along for the evening, opted for the mac and cheese. Brits are obsessed with their Italian food, so this didn't stray too far from the Best of British theme! The cheese sauce looked scrumptiously thick and creamy, and Hayley only had positive things to say about the accompanying garlic bread! After the super filling main courses, we had to have a little break before ordering dessert. Finally, we decided to go for a Belgian chocolate brownie and a rhubarb, cherry, and plum crumble. 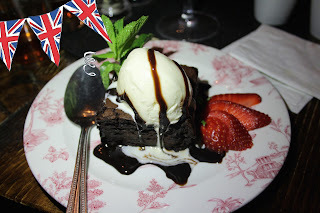 The brownie was billed on the menu as rich and luxurious, and it definitely didn't disappoint! The texture was lovely and soft - perfect! Hayley struggled to finish off the crumble as the portions were so generous, but she seemed to enjoy it too! 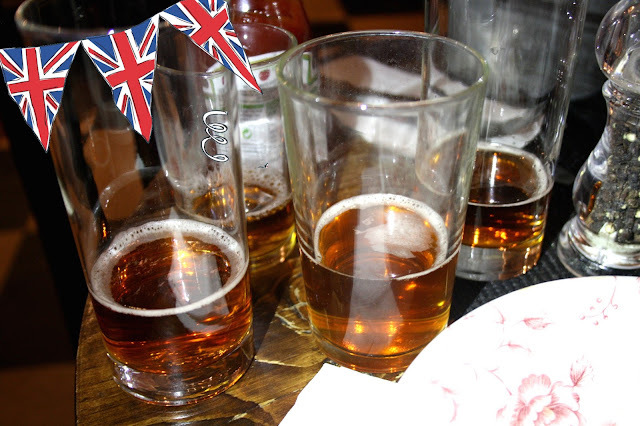 It would've been rude to spend a whole evening enjoying pub grub without having a tipple too, right?! Hayley and I decided to split a bottle of the Il Pallone Pinot Grigio Rose wine between us, which proved to be a delectable choice! On top of this, we were given a few samples of the pub's ale selection to try. 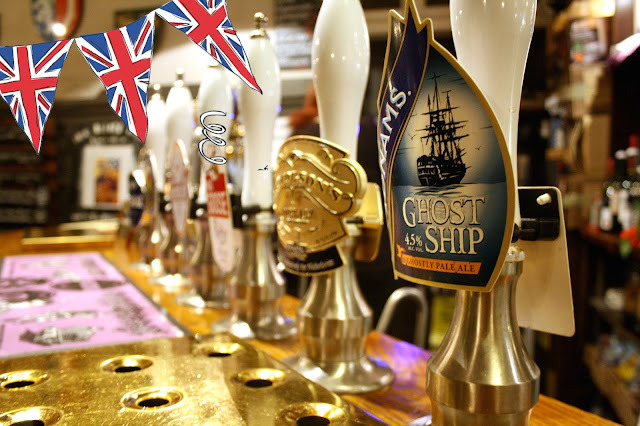 I'll admit to not being the biggest fan of ale, but amongst the selection I did find two that I liked - the Nicholson's own pale ale, and Adnams Ghost Ship! The Chequers also has an impressive selection of gins, rightly so as their founder (William Nicholson) ran his own gin distillery, so Hayley and I have vowed to return to the Chequers very soon to try these out. If I'm heading out to a pub for the evening, it's important for me that the venue has a welcoming atmosphere and is lively without being too rowdy, allowing you to chat to your friends with ease. 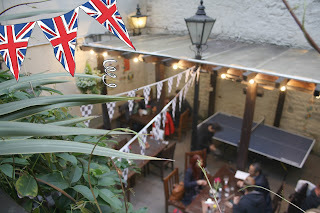 The ambiance of the Chequers was ideal for this - the restaurant is split over multiple levels, and there's also a balcony and a small garden outside, so while the place was busy on a Friday night, it never felt overcrowded. 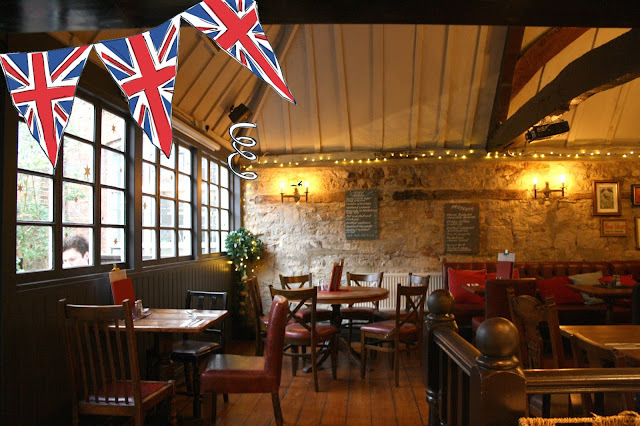 The setting of the pub is very historic and the building has some really unexpected tales to tell! The main body of the pub where the large bar is located was constructed in the 13th century, and the fireplace which is still visible at the back of the room is an original feature. The room has had many uses over its long life, including as a private zoo for a rich Oxford inhabitant! The building was once home to an elephant, which was a real surprise for me and Hayley! It was fantastic to be dining inside a real example of Oxford heritage. Service with a smile makes all the difference, and Hayley and I couldn't have been better looked after at the Chequers. A special shoutout has to go to our host for the evening, Charlie, who was an absolute star. He was super knowledgeable about the pub, and about all of the Nicholson's menu offerings, and despite the pub being busy, he never seemed rushed and was always happy to chat to us. All of the other staff were super smiley and friendly as well, and they had the same personable demeanor for all of their customers, not just our table of reviewers! Finally, the prices at the Chequers are pretty much comparable to what you'd expect to pay at any restaurant in Oxford. 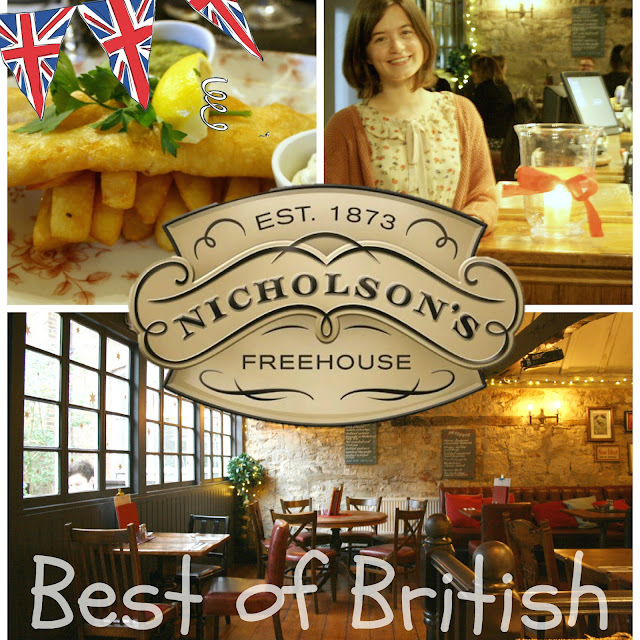 The quality of the food was excellent, as was the service, and although our bill was paid by Nicholson's in exchange for this review, I certainly wouldn't hesitate about going back and paying full price. A helping of fish and chips will set you back £12.45. The macaroni cheese cost £9.50. Our desserts were priced at £5.25 each. The Rose wine was £15.75 for the bottle. 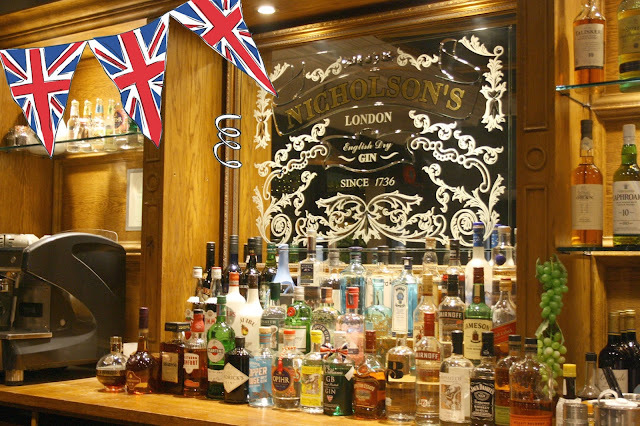 If you'd like to be in with a chance of winning your own Nicholson's pub experience, to the tune of a £50 voucher to spend at the Chequers in Oxford, you can enter my giveaway on Twitter. The giveaway ends on 6th May and is open to UK entrants. No quote tweets will be counted. The winner will be notified via Twitter DM. Good luck! A massive thanks to Nicholson's and to the Chequers for a fantastic evening of British fayre - I will certainly be back! 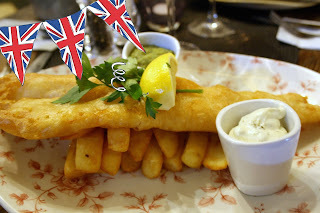 Are you a fan of traditional British food? If so, what are your favourite dishes? Share in the comments below.